Although having to get teeth replaced is not as common as it used to be, there are still plenty of us in the UK who will need to find out about replacement teeth at some point in our lives. It could happen early on for you, especially if you are keen on sports and don’t wear a mouth guard. Or you could come off your bike on the way to work. Or maybe, some of your teeth are just giving up after many long years of faithful chewing and biting service. Whatever the cause of the tooth loss and however old you are, it pays to look into replacing them with dental implants in Bromley. At Bromley Dental Practice, we are always delighted when our patients choose to replace lost teeth with dental implants in Bromley. We know that by doing so, they are opting for the most effective way of replacing lost teeth. Some people may be put off by the cost of dental implants, but if you are going to have dental implants for a long time, they can even work out as the same price or even cheaper than the alternatives, which have to be replaced every few years. If you’ve got say, 30 years before you are likely to pass on, then you could be looking at having to replace dentures or bridges up to 6 times in that period. And with dentures, you may even have to have them relined every year as your gums and jawbone shrink away underneath them. 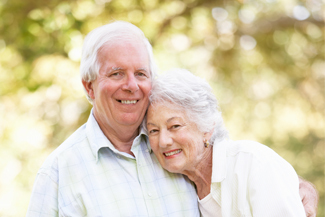 Dental implants in Bromley, on the other hand, can last for at least 15 years. If you take good care of them, which is easy to do, then you can expect the posts to last for decades. There are early implant users who have now had them for more than 50 years. You may well have to replace the porcelain crown, as these do wear out. Brush and floss carefully twice a day, and visit the hygienist regularly for deep cleans. That’s all you have to do to maintain your dental implants. This entry was posted in Dental Implants on 25th October, 2018 by Bromley Dental Practice.